The National Singles program provides current APA members the opportunity to "go it on their own" and yet another way for an APA member to earn a trip to Vegas! APA members who are currently playing on an active 8-Ball or 9-Ball team, and have attained at least ten League match scores during the past two years in their respective format(s), are eligible to participate in the National Singles Program. 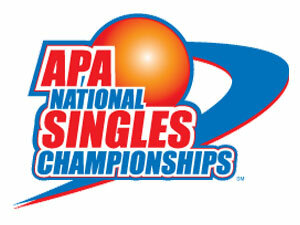 At the local level, APA members compete on a Local Qualifier Board consisting of four to eight members with one player advancing on to regional competition. The local entry fee for this competition starts at $20*, and there is no limit on qualifying attempts. Qualifier Board winners advance to the Regional and National levels with no additional entry fee. At the local level, Qualifier Boards are open to players of all skill levels. 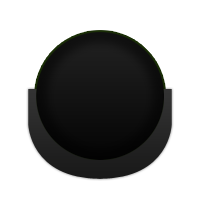 Board winners advance regionally and nationally to one of four Skill Level Tiers that corresponds with their Skill Level in 8-Ball of three Skill Level Tiers that corresponds with their Skill Level in 9-Ball. The Singles Program also utilizes the Equalizer® handicap system. The MVP Tournament, held at the end of every session, is an example of a Singles Local Qualifier. Any player may hold their own singles board, and may contact a Division Representative for more information. Boards that are run from June 1 - December 1, 2016 will qualify for a Regional Tournament in March 2017. Boards run from December 2, 2016 - May 31, 2017 will qualify for a Regional Tournament in October, 2017. *Local entry starts at $20 per person, based on an 8-person board. Boards other than an 8-person board may vary in cost.